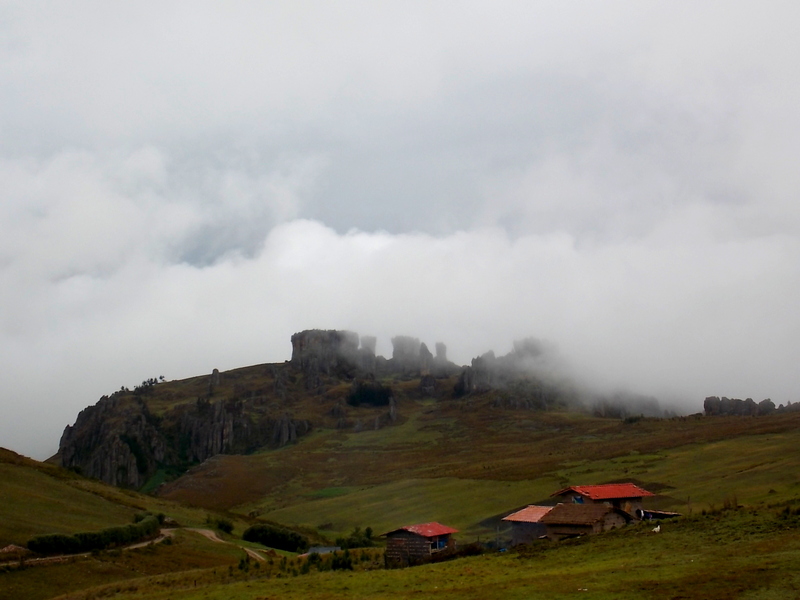 It was time to be touristy and explore the outskirts of Cajamarca. 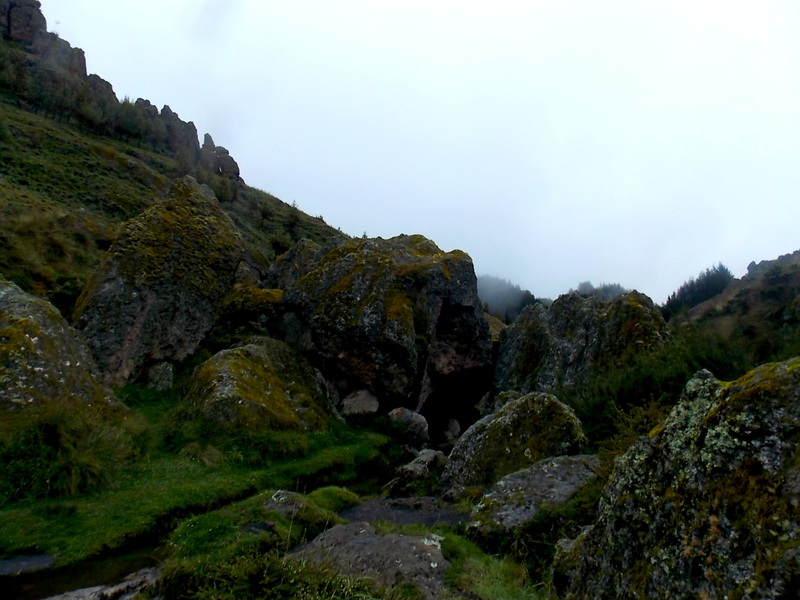 Up up we went to an elevation of 3,500mts, it was a chilly afternoon and with no pre knowledge of what to expect we got cold. 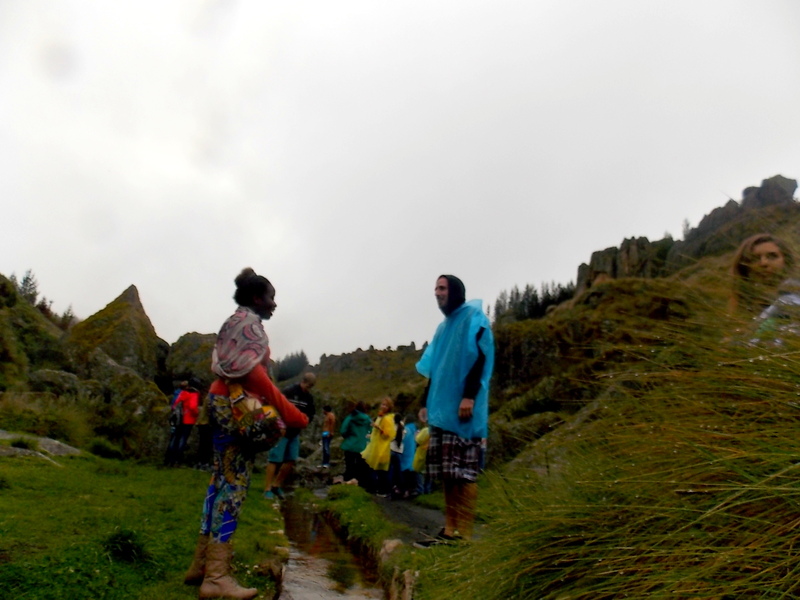 This did not stop us from killer smiles and exploring the Pre Inca attractions of Cumbemayo. 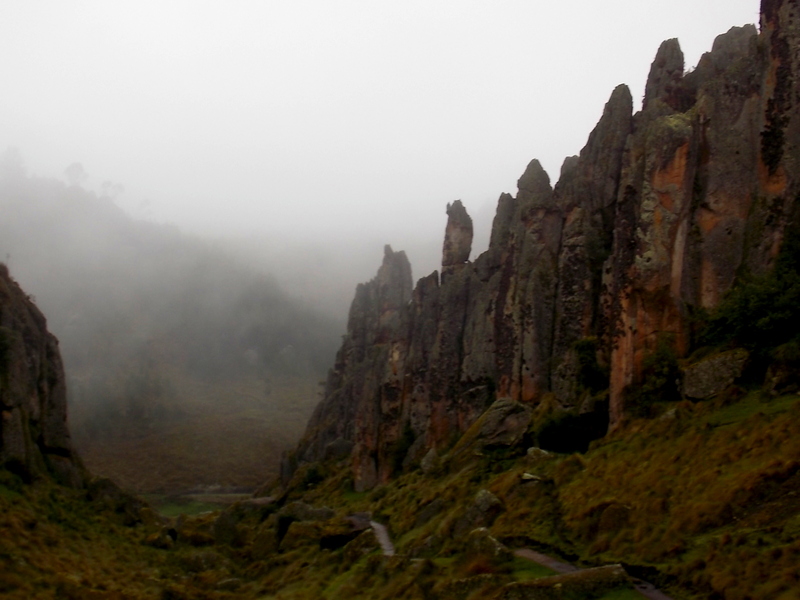 Cumbe Mayo is actually a stone forest that produces silhouettes of pious friars and hence popularly called “frailones”. 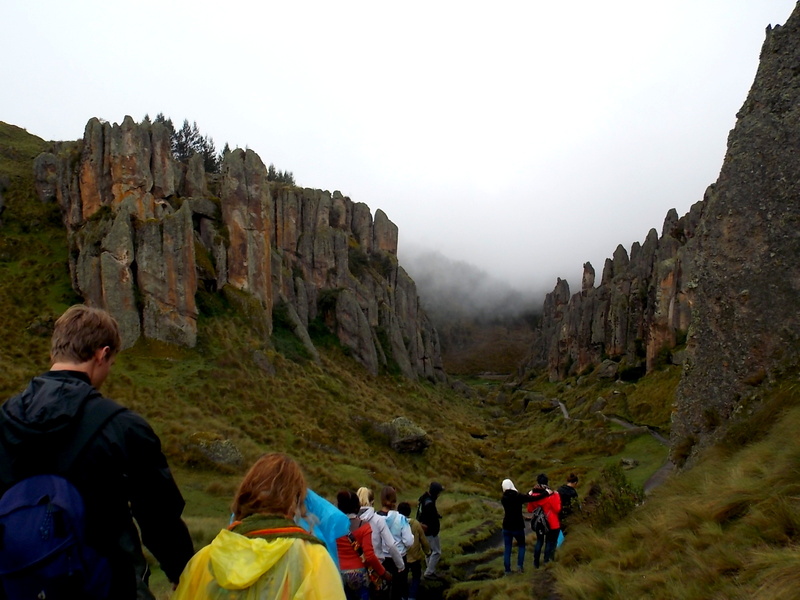 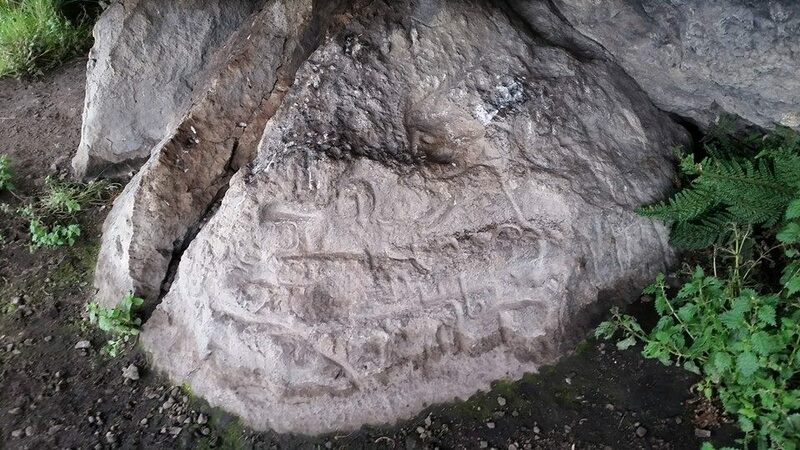 As we walked around with our guide we encountered caves and shelters and huge cliffs and engravings . 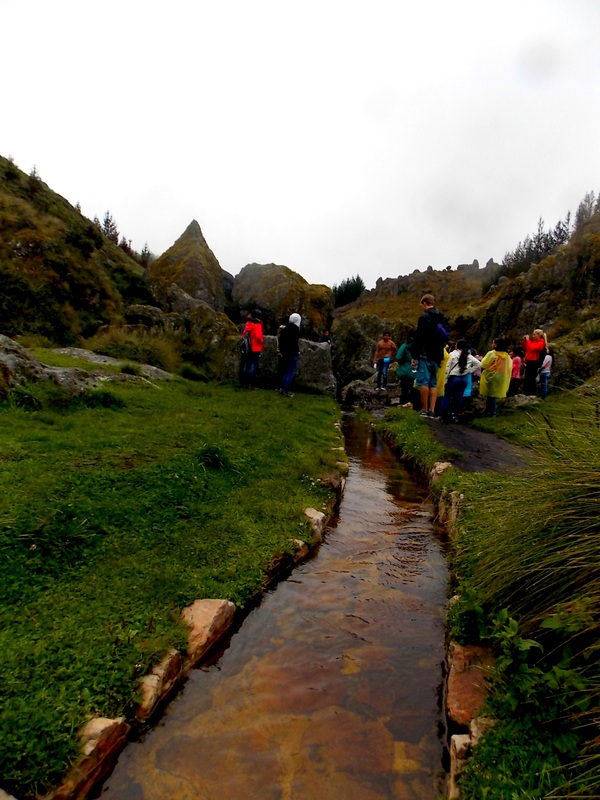 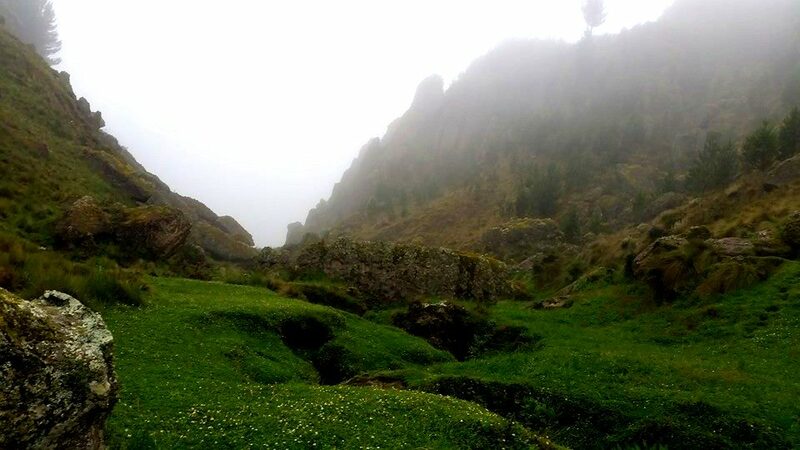 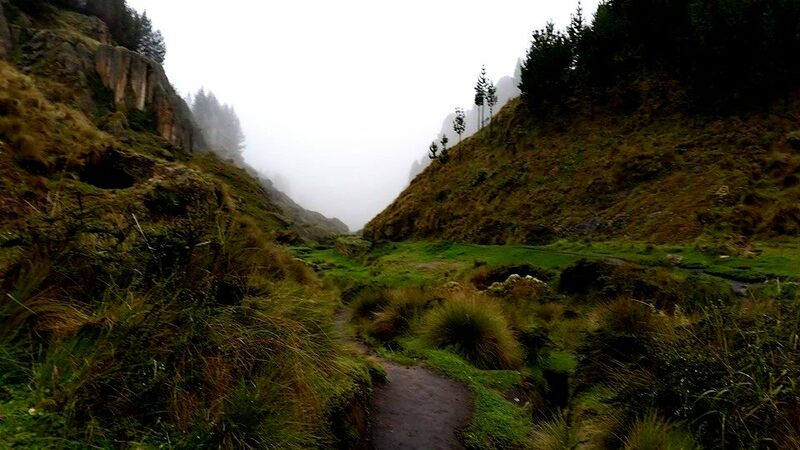 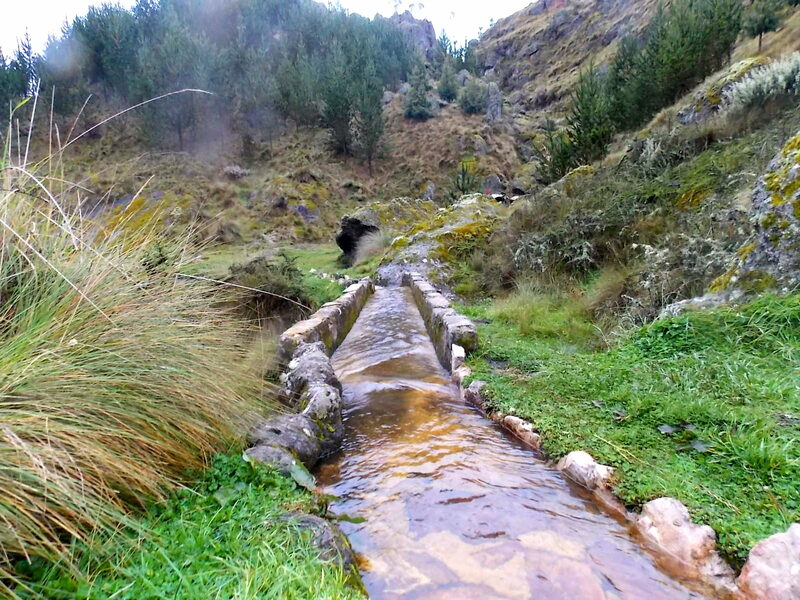 There is also a 9 km pre Inca Aqueduct that was carefully carved in volcanic rock to divert the water from the hills to cultivation fields and a large reservoir. 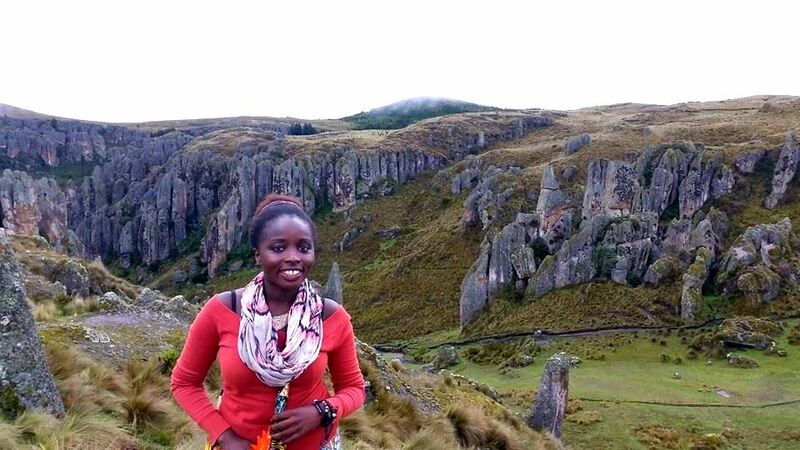 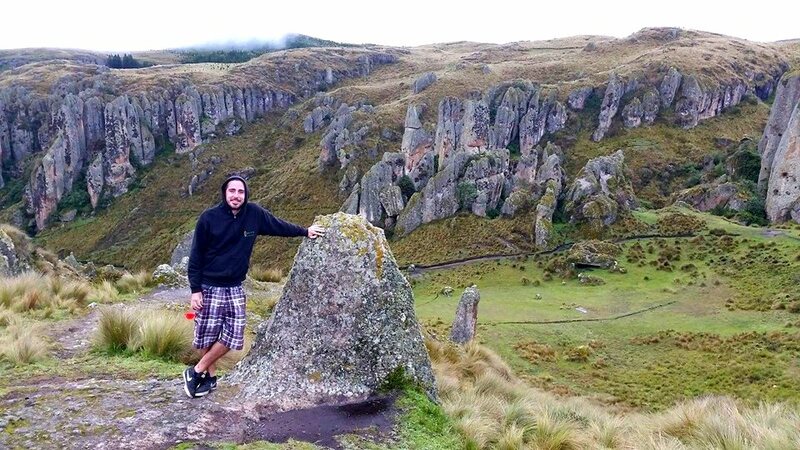 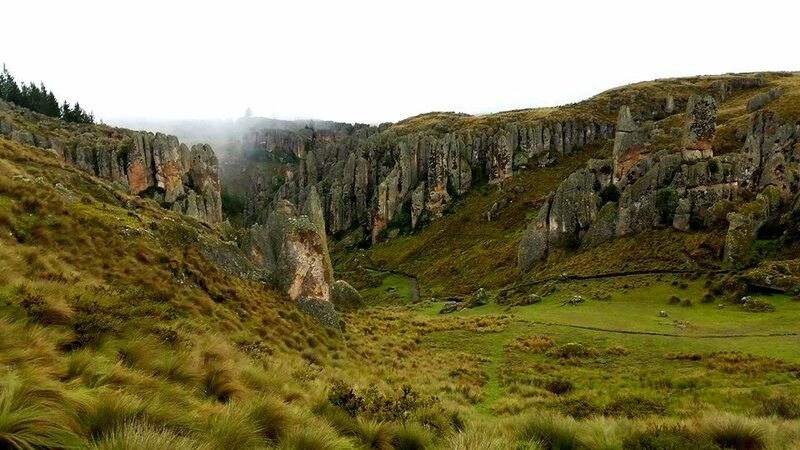 Although the stone forests and ancient ruins of pre-Incan society give the area a beautiful and almost spiritual dimension, it is hard to overlook Cajamarca’s tragic history, as the location where Spanish forces slaughtered the Incas, thousands of years after Cumbe Mayo was constructed. 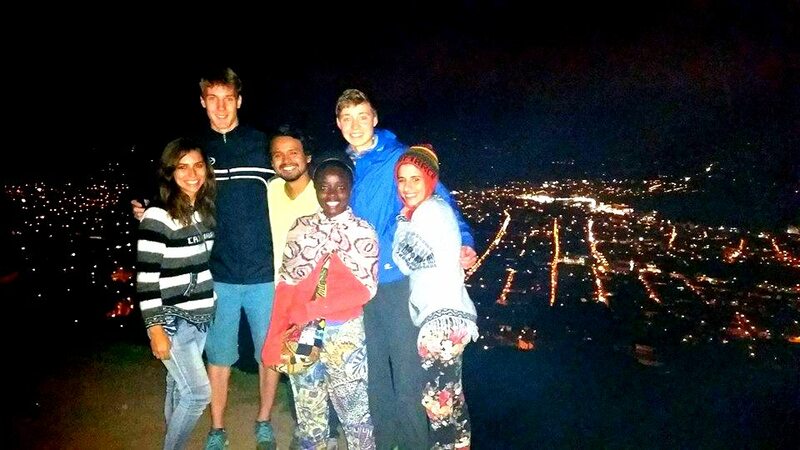 GuguguguIt was a great way to finish the escapades of Cajamarca and as the sunset and darkness and city filled the city we called it a night and left.